Including advice on how to get diabetic, lactose free and other special diet food. This somewhat clumsy title should express my intention to create a food and drink survival guide for those who do not want or cannot follow the beaten food path in the city of hundred spires that carries with her the burdening stereotype of a fat, meat-ridden, heavy cuisine. This stereotype has several facettes: For one thing, most of the tourists ask for „typical Czech dishes“, for another, the restaurants in Prague’s downtown would be stupid not to offer them, and so the game goes on and on. The „typical Czech dish“, often with meat, dumplings, sauces, has, for several centuries, been the Sunday meal for hard working peasants and craftsmen, and by far not an everyday routine in common households. During the rest of the week, food meant potatoes, cereals in various forms and the vegetables available according to season. When modern tourism started to spread in the first half of the twentieth century, „light“ food was no issue for the mostly well-to-do traveller, and diets were connected to hospitalisation. Yet, the still popular cookbooks from the 19th century were already advising on healthy nourishment and lifestyle. For the Communist regime after 1948 healthy living was a practical as well as ideological means of propaganda and did not necessarily meet widespread acceptance, in particular as healthy food was difficult to get. There are, however, a new generation, a new awareness and international trends. Prague’s groceries, food chains and restaurants offer a variety like never before, and apart from new offers more and more chefs try new ways of presenting traditional cuisine. Thus, organic food, vegetarian nourishment and special diets have become an issue as well. A range of food producers and shops have added, or specialised in, products for diabetic, gluten free or dairy free diets, and the food regulations of the European Union guarantee clear labeling. A full list of relevant restaurants and shops you find HERE. Twelve of fourty vegetarian restaurants listed on Tripadvisor’s Prague pages rank among the top 500 of more than 2,600, the best on positions 18, 27, 32, 46 and 51. Altogether, there are almost 50 restaurants, cafés and fast food outlets offering vegetarian, vegan or gluten free meals. Gladly, most of the best ranked ones are in or around Prague’s downtown, such as Maitrea, offering vegetarian and some vegan meals, ranked in position 27 of 2,687 restaurants in Prague on Tripadvisor. On Yelp, the place has 4 ½ stars out of five. Of course, on both portals there are also also a few negative comments, and nothing can replace one’s own judgement, but this is valid for any kind of reviewing site. Maitrea is located right behind Týn church/ Týnský chrám, close to old town square and thus easy to reach from all downtown. The two-floor restaurant with 90 seats is designed in Feng Shui style with two fountains, a fireplace and a kind of meditation corner. Maitrea means „loving kindness“, one of Buddha’s 1,000 names. Brewsta, food blogger on Czech Please and Expats.cz, one of Prague’s expat networks, lauds the „very international wine list“. A few steps away you find another Asian style vegetarian restaurant, a cafeteria, less expensive and with a less elaborate menu. Beas Vegetarian Dhaba in Týnská is one of six homonymous outlets in Prague, offering vegetarian dishes of the „North Indian cuisine“, i.e. no fish or eggs. They have a happy hour one hour before closing and also home deliveries. 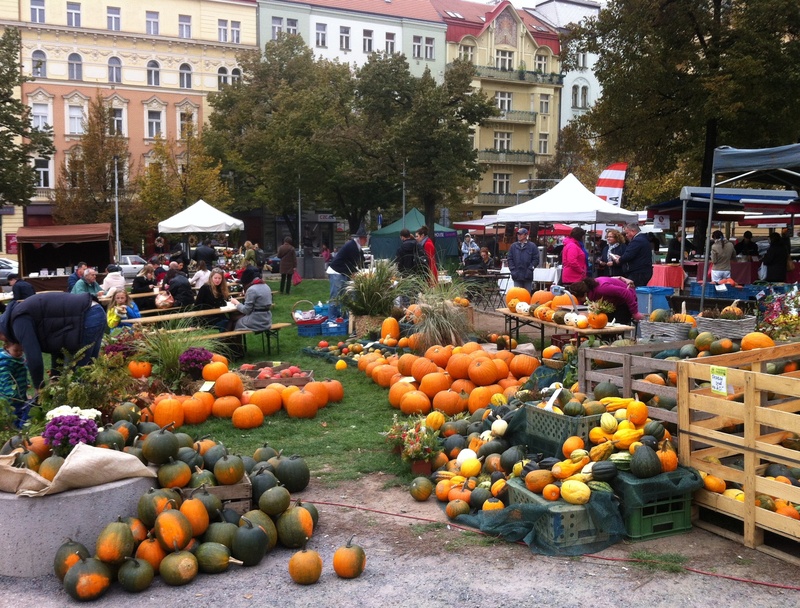 A short walk from Old Town Square towards Wenceslas Square brings you to Country Life in Melantrichova Street. This restaurant and another one in Dejvice district (Prague 6) are linked to bio shops, and there are two more shops in Jungmannova Street and in Karlín district. 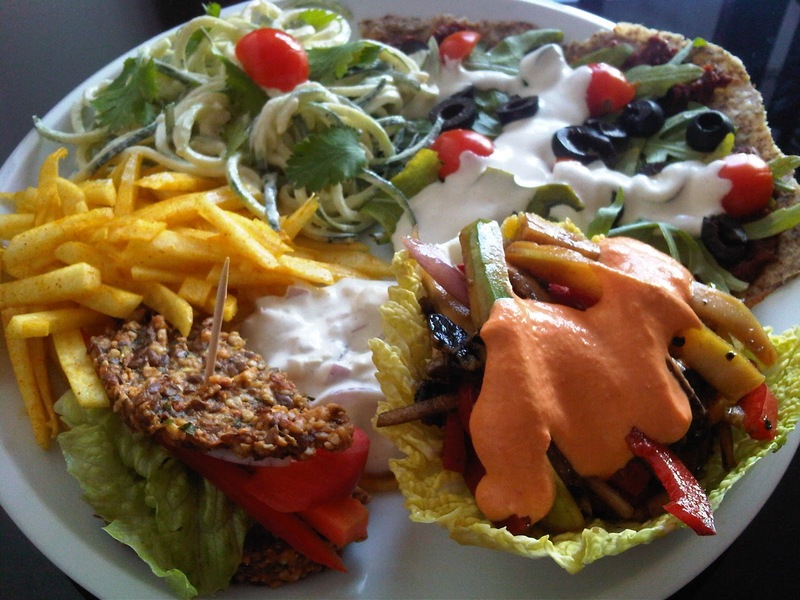 The eateries and shops belong to a US Christian organisation and offer self-service vegan and vegetarian buffets. The food is prepared on the spot and comes mainly from their own organic farms. Country Life has quite good reviews and reasonable prices. Close to Prague’s rather notorious no. 1 cliché tour group restaurant U Fleku one is surprised to find an unexpected alternative: Švejk Restaurant U Karla in Křemencova 7, at an equal distance between Charles’ Square/ Karlovo náměstí and Národní třída, the street connecting the National Theatre and Wenceslas Square. Even if it has mixed reviews, the recent addition of a full Gluten free menu seems successful. Also, the place is entirely non smoking which is rather rare with so called traditional restaurants. Estrella, right around the corner in Opatovická, seems to be what in German is so ingeniously called a „Geheimtipp“, an insider’s tip, a quite unknown but very well rated vegan restaurant (19 excellent/very good vs. 1 poor on Tripadvisor) with very moderately priced lunchtime menus (approx. € 6). A reviewer on aswetravel.com called it „very small and cosy with attentive, young and enthusiastic staff.“ Unfortunately, Estrella does not have its own website, and publishes its dishes of the day on Facebook in Czech. Click on „English“ to get the dish of the day on lunchtime.cz. 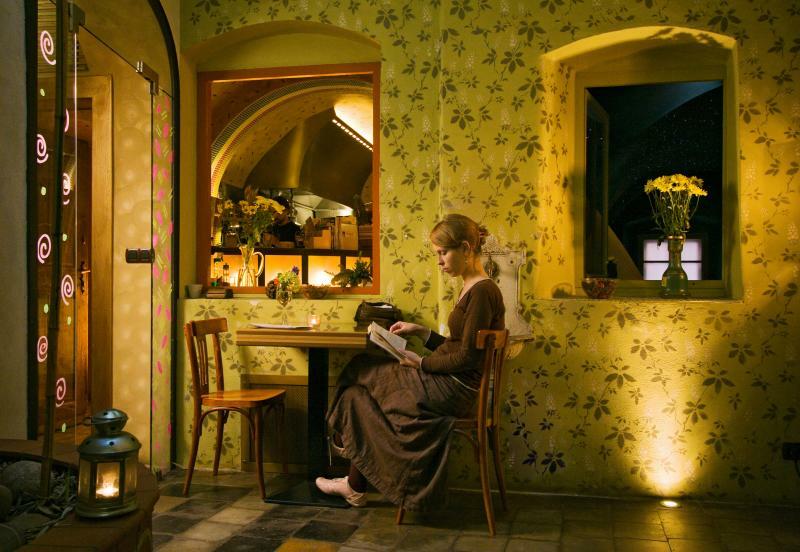 Quotation from „8 Best Vegetarian Cities in Europe for 2013“ about Prague’s No. 1 position on Veggie Focus, a new platform for vegan and vegetarian nutrition and cuisine, based in Sweden. If you happen to walk along Na pořičí street, maybe because you visited the fabulous Art Noveau jewel Municipal house/ Obecní dům or you are heading towards the fabulous Café Imperial, and you’re hungry, you might bump into one of the Beas outlets (See previous page), or you make a little detour to Truhlářská street no. 20, where you find one of the seven Prague Loving Huts, rather sober cafeteria style vegan eateries with medium to good reviews (Read the detailed and quite humorous review on prague.tv). The worldwide 200 or so restaurants are owned by Ching Hai, a spiritual leader and entrepreneur from Vietnam, and have a strong, but unobtrusive religious touch. For keeping strict dietary regulations, Na Zlaté Křížovatce works together with the Czech Celiac Association. The menu also offers children’s dishes, and the guests profit from a 15% discount all of the Schär products that are for sale in their restaurant. Recently I was strolling along one of Prague’s pretty flea markets on Rašínovo nábřeží, the riverbank south of Palackého náměstí / Palacky Square, when my eye caught a booth named „Secret of Raw“. I kept their web address in mind and found out that this is a new restaurant not far away from Prague’s main railway station, Hlavní nádraží, in Seifertova 13, offering exclusively raw food. In their self description it says „We will prove you that eating raw food is not only healthy, but also rewarding, fun and full on variety.“ It is a pity that they don’t translate most of their interesting philosophy and stories on raw food on their website. 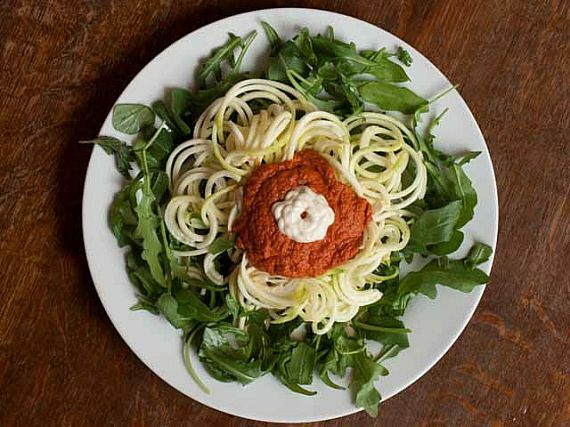 Basically they use only food of vegetable origin, maximally heated to 40°C, and thus even manage to prepare cakes, pizzas or their already famous Zucchini Spaghetti. For newcomers, the restaurant offers a tasting plate to make decisions easy. Even if the reviews tend more to „very good“ than „excellent“, the overall impression is very positive – what counts are innovation, seasonal adaptation, the friendly staff, the atmosphere of the place and, last but not least, a kids’ corner. Thanks to my never ending curiosity, but mainly thanks to a very useful and well done English blog, „Healthy in Prague“, I discovered another place offering raw as well as cooked vegan food – in an interesting combination with traditional Serbian cuisine. 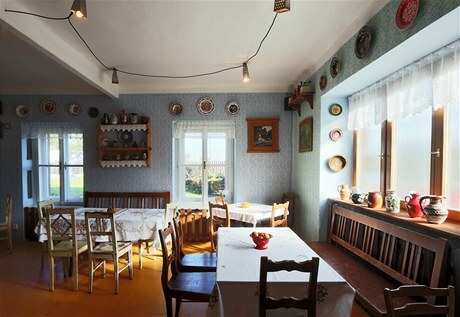 The large restaurant (100 seats inside in a grandmother’s kitchen style plus another 100 in the romantic summer garden) is located quite far off the centre – in Zlíchov, South of Smíchov railway station, even farther than the alternative art centre MeetFactory. Yet, trams 6, 12, 14 and 20 stop roughly 200 m South of the place at Zlíchov tram and bus stop. According to Prague’s online public transport planner dpp.cz it takes you 17 minutes to get there from Malostranské náměstí, the central square of Lesser Town / Malá Strana on trams 12 and 20. Jelica – Biogurmania is its name, the somewhat elaborate website is partly trilingual – Czech, Serbian and English, and offers three menu sections. The dish of the day is available till 4 p.m., the Serbian („srbská národní kuchyně“, as this term is not translated) and raw food menus are very comprehensive. Tripadvisor offers just four reviews, as this place is far off most of Prague’s tourist attractions, but they give the place 4 and 5 points. 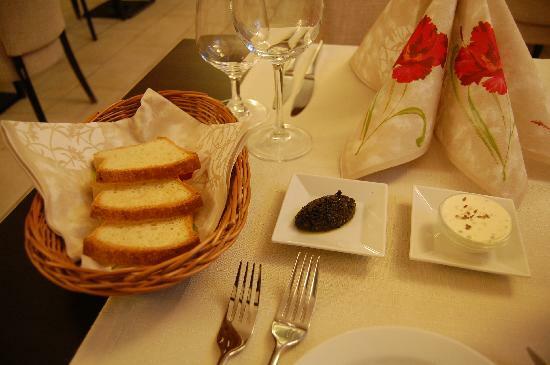 One can be sure that this restaurant is visited mainly by locals which assures a certain guarantee for quality. A Czech reviewer also lauds the kids’ corner and recommends it warmly, „even if the service is damned slow“. Remaining on the Western river bank, but back in downtown Lesser Town / Malá Strana, there are also places to discover. One of them is located in the picturesque, history laden but also very touristic Nerudova Street which leads directly to the ramp climbing castle hill. The name LoVeg misleadingly insinuates a low degree of vegetables – on the contrary. Even if the website is mainly in Czech, the menu is largely translated into English, and one of the titles delivers the motto: „Všechna jídla jsou připravena ze surovin čistě rostlinného původu“ – „All food is prepared from ingredients of pure vegetable origin“. 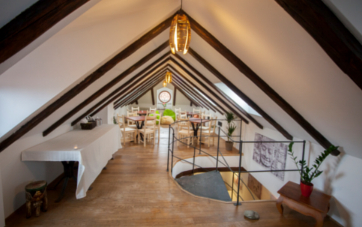 The restaurant is located in the loft of one of the numerous Baroque buildings of this area, „House of the Black Madonna“, not to be confused with the one in Celetná street, with a cute roof terrace that allows a beautiful view of the castle, a little photo gallery and a kids’ corner. Tripadvisor has five 5-point reviews, testimonials of our guests give it high rates as well. Plevel means weed in English. It’s the name of a restaurant a bit off the centre but close to one of Prague’s most impressive and romantic parks – Gröbe Park or, officially, Havlíčkové sady, where you should pop by to taste the awarded wines at Viniční altán, located in a beautiful wooden pavilion right above the winery’s own vineyard. Plevel is a recently opened new vegan restaurant offering also gluten free meals, that meanwhile has made itself quite a name. A reviewer on Yelp calles it „A solid win for non-meat lovers“. Their photostream on Facebook is very inviting, and most of the reviews on various food websites confirm that taste corresponds to look, even if (very few) less fortunate guests complain about service and boring dishes. The interior is quite tasteful, a nice combination of modern, old fashioned and cosy. Unfortunately, their pretty website is only in Czech, but lunchtime.cz offers at least the lunch menu. The menus (sections such as „Shall we begin?, Foreplay, For Two, Hand-Thrown Pizza” etc.) are quite comprehensive and have detailed descriptions. The website for club, café etc. are all in English. Radost is one of the few places in Prague which serve hot dishes after 10 or 11 p.m.
Last but not least, a little jewel, even if not 100% vegetarian. If you happen to climb castle hill via Nerudova street and you continue on Úvoz street to reach Strahov Monastery with its marvellous library and the picture gallery, a collection of Czech and European art from Gothic to Romanticism, you better have lunch a few hundred metres before reaching your target. 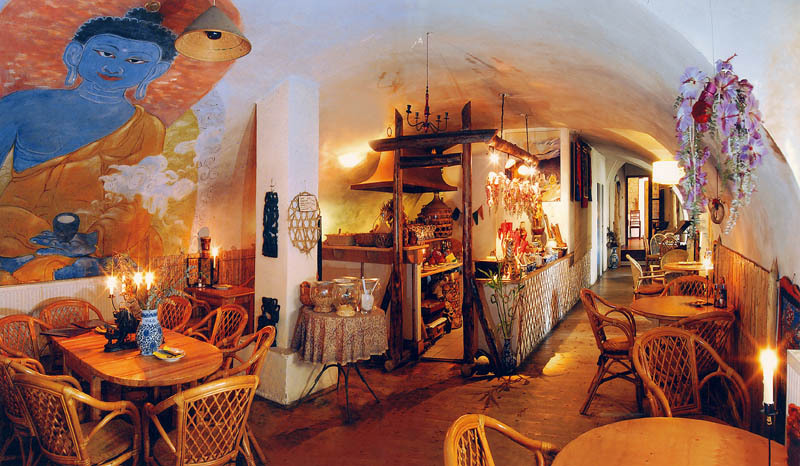 Malý Buddha is a charming little Asian restaurant with a very creative and cosy interior. 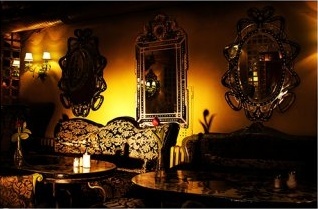 The menu has a large vegetarian section, and offers a remarkable choice of teas and “healing wines” from Asia. The Swedish Embassy is right across the street, and its health conscious employees come in frequently. Except for a few ones, the reviews are very positive about both food and atmosphere. 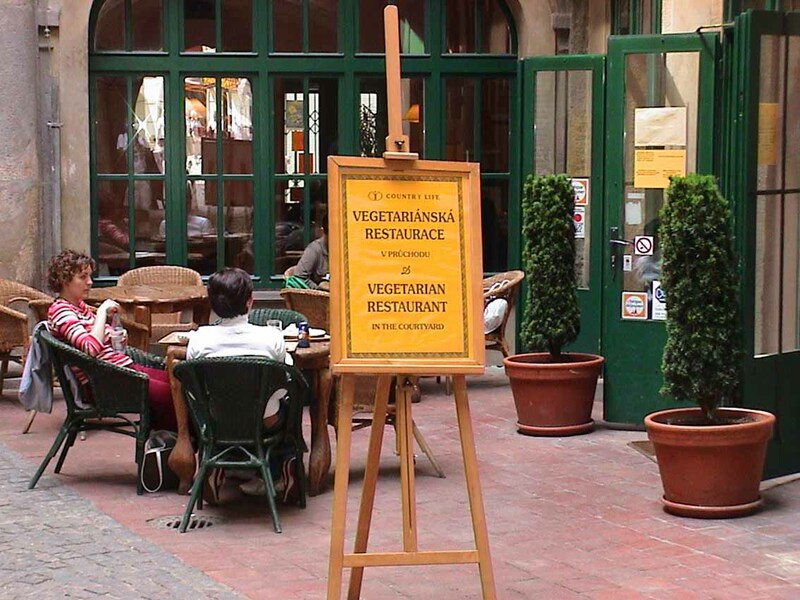 Many of the reviewers describe this restaurant, as well as other places, as lucky discoveries to escape main stream food, and it is clear that most health conscious tourists as well as vegetarians, vegans and others who depend on relevant diets have no idea how many alternative places there are in Prague. This confirmed my intention to write this chapter. I hope you can thus make the most of your stay in Prague.